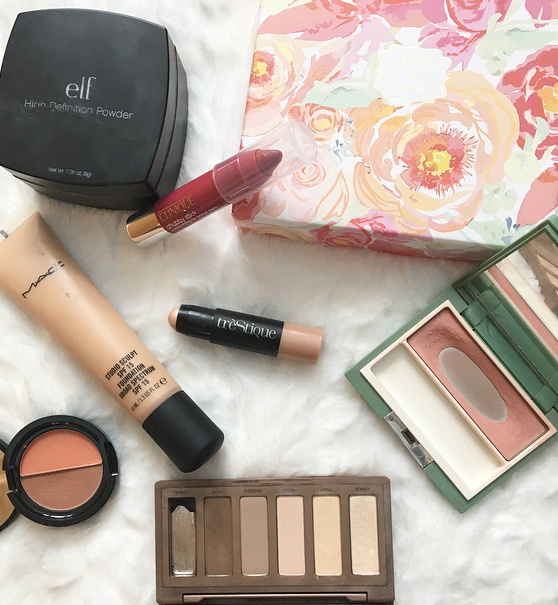 Hopefully I am not the only one who has too many products in their collection, ones that you like enough to use and not declutter but not enough to use everyday. Well, here I am: committing to using these products until the end! I've got seven products that are close to the end of their life cycles that I'd really like to finish. You'll be seeing these in an empties post soon! I have dry skin, so foundation tends to stay in place on my skin all day without being set by a powder. However, I do need to remember to set my concealer which is where this powder comes into play. It's a very finely milled translucent powder that I really like from the drugstore! I can also use this to try baking. To be honest, the only reason I'm close to finishing this powder is because I've spilled it so many times. Oops. My aunt gave me this chubby stick sample to try a few months ago. I like the formula, it's like a pink tinted lip balm, but I wouldn't purchase this for myself because there are way cheaper dupes on the market. But I already own the product so I might as well finish it! This is a sample size, maybe half the size of the regular, so I should be able to finish it if I wear it more often and it's such an easy product to wear everyday. This used to be my favorite foundation and everytime I wear it I'm reminded of why I loved it so much! 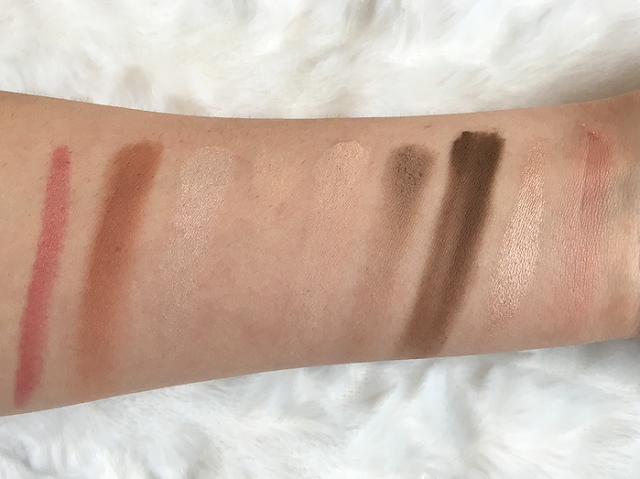 It has a lot of coverage and looks very dewy on the skin. If you have oily skin, this will not be for you. Unfortunately the shade is not the greatest for me. I can make it work but it's a little too dark and warm toned. I'm very close to finishing it so I will put up with the shade differences until I can buy a new one! I got this in an Ipsy bag a few months ago and I really like it for traveling. I never use the blush in here, but the bronzer is a nice contour shade. I've made a significant dent so I think I can finish it. I've had this for aaaaggess and one shade is almost completely gone, another result of my clumsiness. This is a great all-matte palette that I like to use along with my favorite single shimmery eyeshadows. If I pack a Colourpop shadow, for example, I will use the Basics palette to define my crease and then put a shimmery shade all over the lid. This definitely doesn't get enough love from me! Another Ipsy product, this little highlight stick gives the most gorgeous glow. It's small enough to fit the browbone, the cheekbones, and the inner corners of the eyes. I never thought I would finish a highlighter but I'm pretty close with this one. I've had this for ages and I've hit some serious pan on it. It's the type of blush where no matter how much you apply, it still looks subtle and pretty. It doesn't swatch well but with a brush it gives a nice, pink shine! I might start using this as a blush topper so I can use it up even faster. Are there any products that you need to finish? 13 comments on "Project Pan 2017"
Good luck! Hope you reach your goal soon! I definitely need to start finishing up more products in my collection too! Nice post! I love the Urban Decay palette. Such a wonderful shades. I have many products but I agree with you, It's better to use your favorites until the end! Thanks for sharing! Heard many good things about that ELF powder, thanks for sharing! Its my January goal to use up products, have so many! This is such a good idea, I never hit pan on anything so I should really try this! Great idea, I'm planning to not buy anything new until I use up some stuff ... Famous last words! Good luck with this, nice post!